The dental industry including dental service organizations (DSOs), group practices and even private practices are all catching the attention of private equity and strategic investors. This includes general dentistry practices as well as orthodontic, endodontic, periodontic, pediatric and oral surgery practices. The next several years should continue to bring significant investment to the dental space. The next several years should continue to bring significant investment to the dental space. 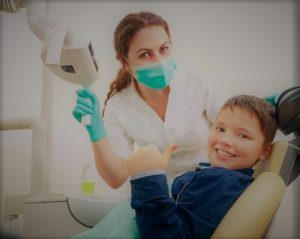 In a previous article 5 Dental Trends (DSO) for the Next 5 Years and a follow up interview with Dr.Bicuspid.com in January 2019 (DSOs, private equity, and the future: An interview with Michael Roub), I discuss investment trends and key considerations moving forward. Both well established dental practices and younger, recently developed group practices will be considered for potential private equity investment and platform development. The challenge with growth and consolidation is continuing to have cohesive operations and operating efficiencies. Otherwise, you are adding size but not creating true value. A practice must be able to show this success or at least the potential for creating value for a private equity investment to make sense. Additionally, cultural fits, payor mix and other factors will influence investment decisions. Regardless of the challenges, expect extensive private equity investment in the next five years. Dental specialties will see significant consolidation opportunities as PE firms look to create a distinctive DSO offering.